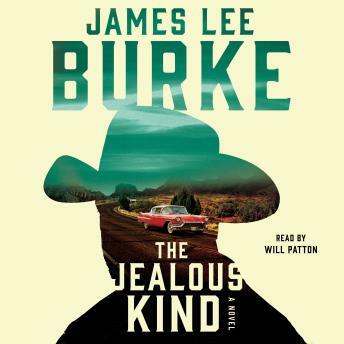 From award-winning, New York Times bestselling author James Lee Burke—an atmospheric, powerful, coming-of-age story set in 1950s Texas, as the specter of the Korean War looms. On its surface, life in Houston in the 1950s is as you’d expect: stoic fathers, restless teens, drive-in movies, and souped-up Cadillacs. But underneath lies a world shifting under high school junior Aaron Broussard’s feet. There’s a class war between the “haves” and the “have-nots” as well as a real war, Korea, happening on the other side of the world. It is against this backdrop that Aaron comes of age, trying to understand how first loves, friendship, violence, and power can alter what “traditional America” means for the people trying to find their way in a changing world. When Aaron spots the beautiful Valerie Epstein fighting with her boyfriend, Grady Harrelson, at a drive-in, he steps in. Aaron and Valerie begin dating, but Grady presents a looming problem—as does Grady’s father, who has troubling criminal connections. In the middle of it all is Aaron, who seemingly takes care of one threat, only to see multiple ones manifest in its stead. In The Jealous Kind, “modern master” (Publishers Weekly) James Lee Burke creates a singular, bittersweet experience that mirrors a larger world on the precipice of great change. As Aaron undergoes his harrowing evolution from boy to man, we can’t help but recall the inspirational power of first love and how far we would go to protect the world we know. Great book! Keep me interested the whole time. I have been a James Lee Burke fan for many years. Fantastic book! Highly recommend this to anyone who enjoys James Lee Burke. James Lee Burke never disappoints and this book is one of the best! With his descriptive narrative the reader actually feels the story. The characters are brought to life by a gifted writer who spins a fantastic story.